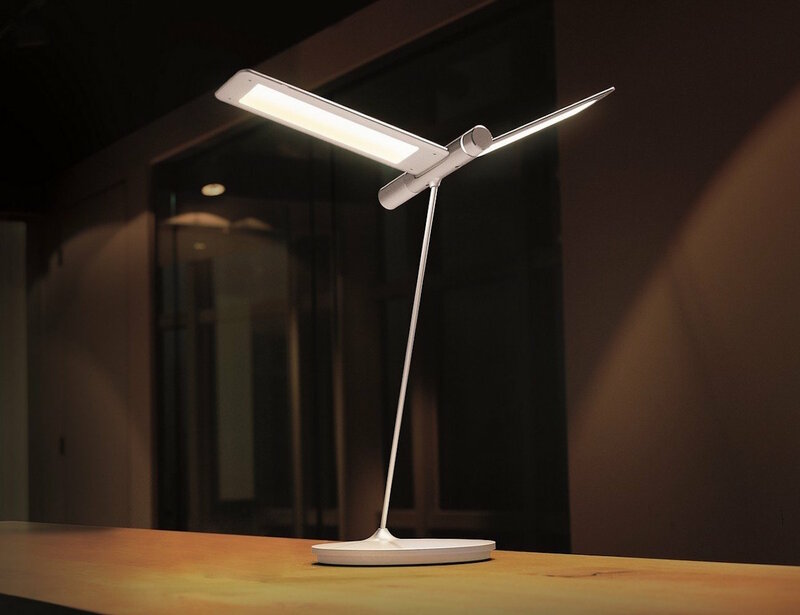 Let your workflow soar with the Seagull LED Desk Lamp by QisDesign. 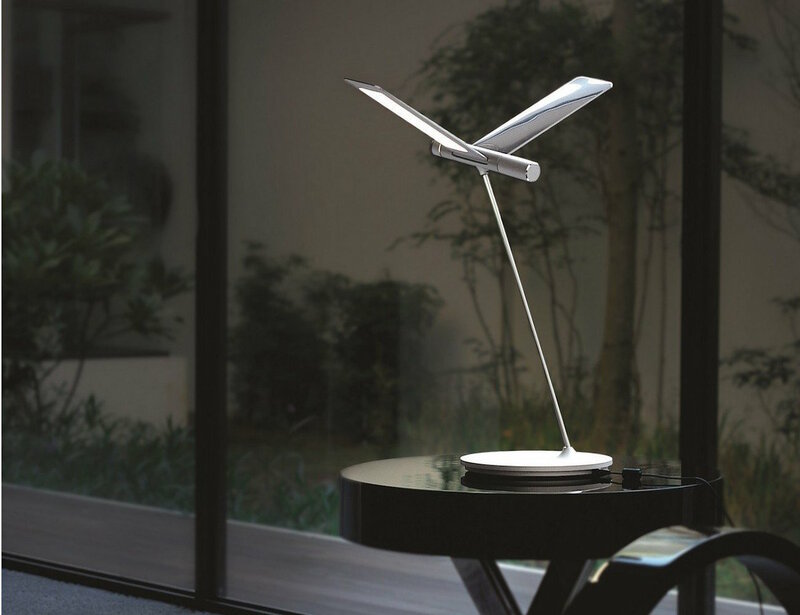 Taking up just a 9-inch diameter on your desk, this lamp uses environmentally friendly LED lights to make the wings illuminate. 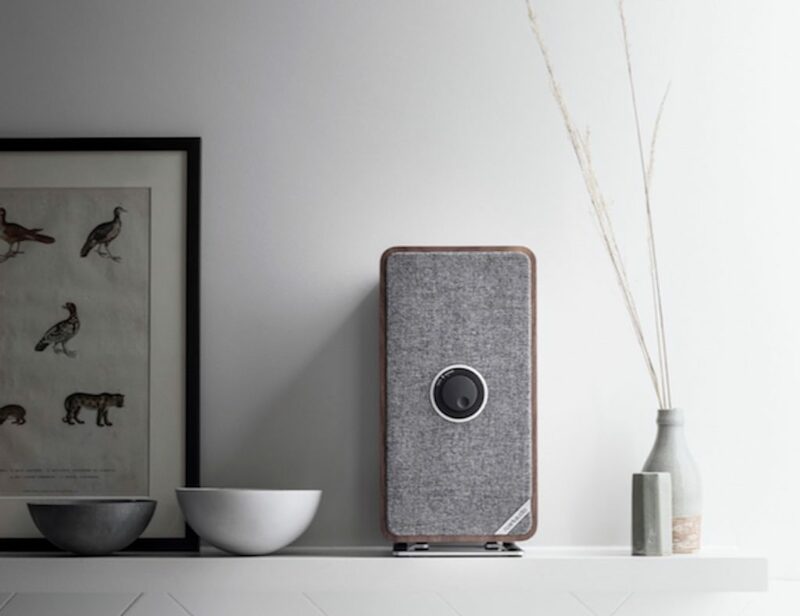 Positioned like a seagull in flight, the body of the bird has one knob for adjusting brightness and another for adjusting lighting angles. 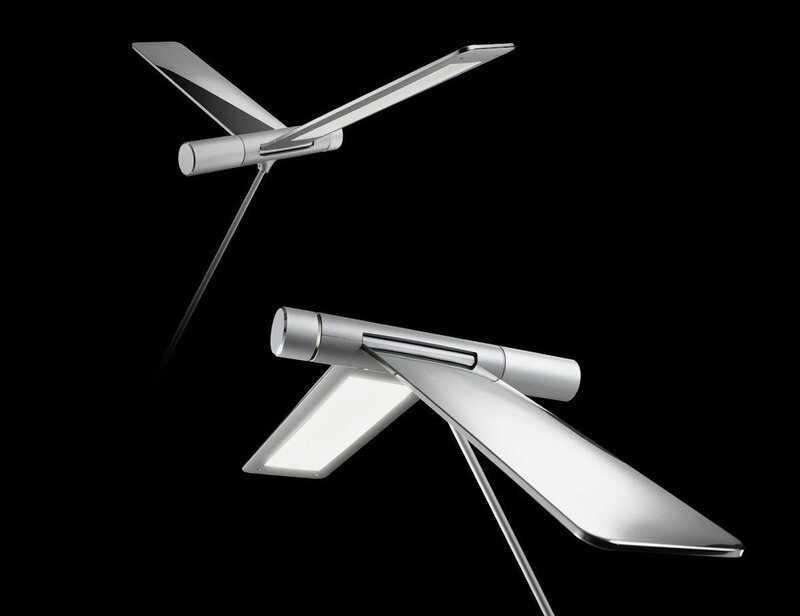 As the latter is adjusted, the winds of the Seagull LED Desk Lamp change accordingly in a magnificent emulation of a seagull flapping its winds during flight. 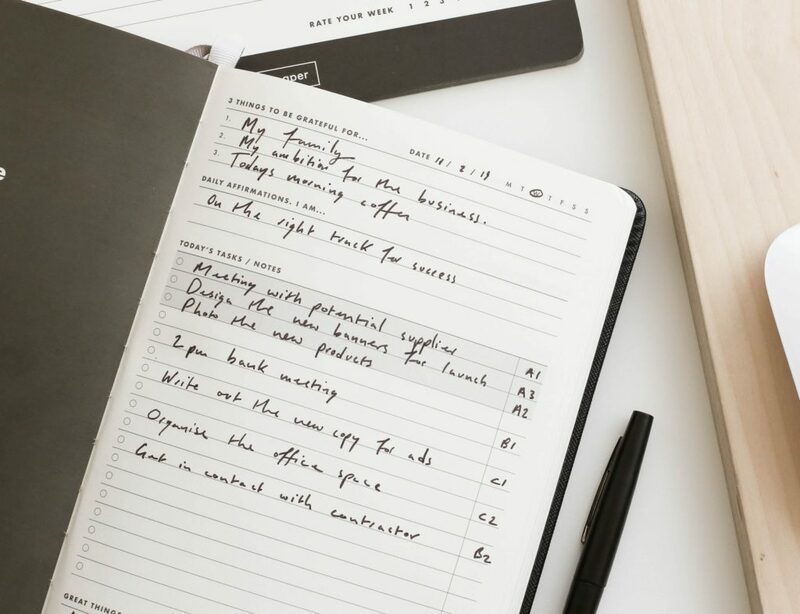 In addition to providing light, this desk lamp allows the user to interact in a way that combines nature and technology. 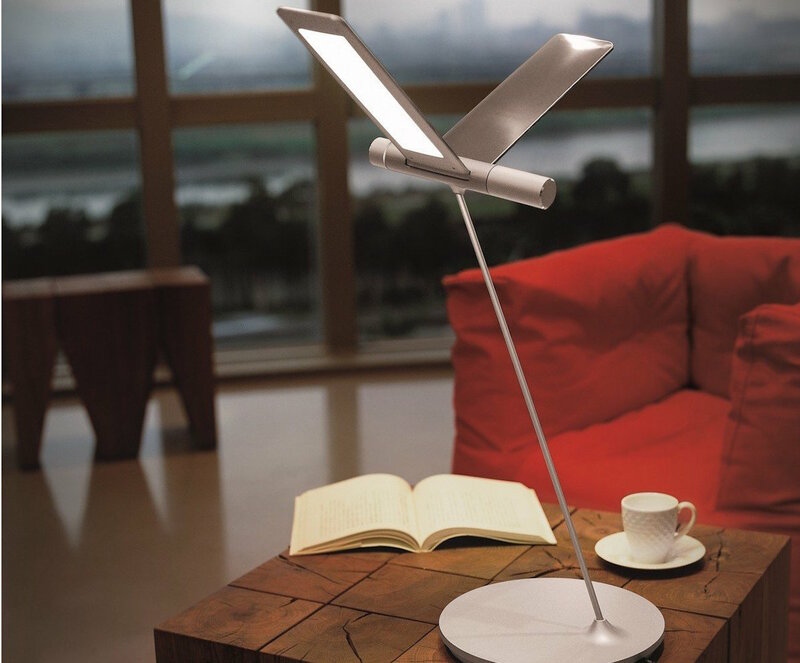 An award winning design, the Seagull LED Desk Lamp by QisDesign is made of aluminum alloy and stainless steel.